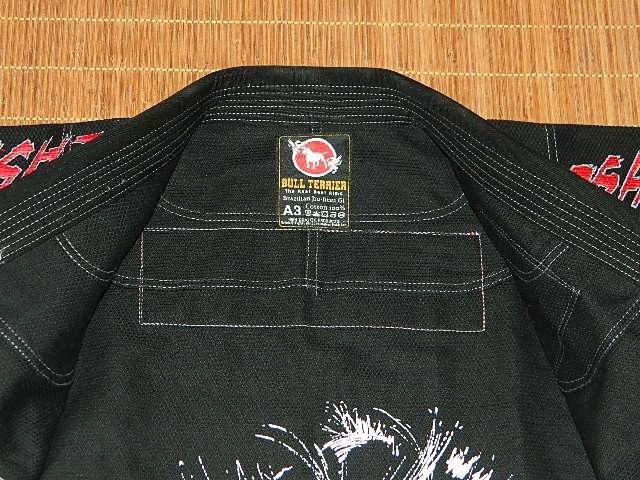 I’ve been a huge fan of Bull Terrier ever since I first saw their New Star gi (which I reviewed here). 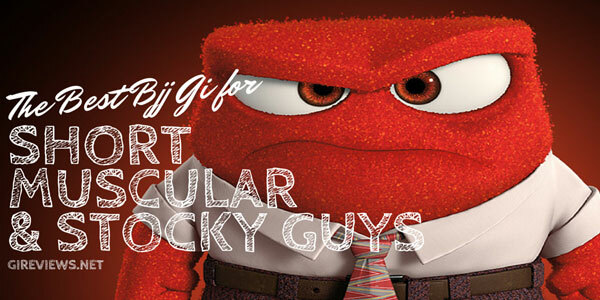 So when I found out they were collaborating on a new gi, I freaked out! 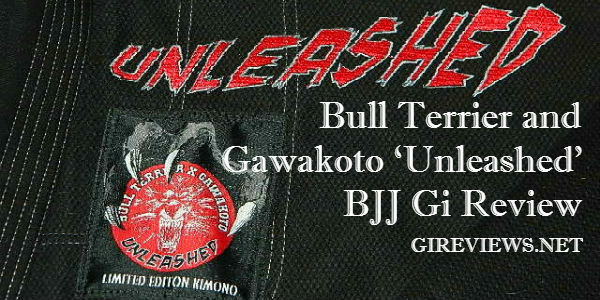 The Bull Terrier and Gawakoto Unleahed gi features a number of staple Bull Terrier aspects (tons of embroidery, subtle contrast stitching, lots of patches, NICE interior printing) plus the brilliant comic-book style artwork of Gawakoto (Bong Abad). Overall, it creates a very nice product that fits me really well. I am exceedingly lucky in the fit department when it comes to gis because, often an A3 fits me perfectly at 6’1′ and 200-210lbs. The Bull Terrier sizing makes an A3 that is absolutely delightful to wear. I would wear this to work if they let me. Numbers in parenthesis are for the Bull Terrier New Star for comparison. All measurements are pre-washed. Of note is that the trousers have a very wide leg and bottom, more akin to Grab&Pull (10) than Scramble’s Wave gi (9). In my opinion, this is one of the major drawbacks to Bull Terrier gis. I love the fit of the jacket, but not so much the pants. You can easily see the pants bagginess in the images above and, considering I have very large thighs (thank you squats and deadlifts! ), these pants would be massive on anybody thinner than me. At first glance, this gi is very opposite what you would expect from a Bull Terrier gi. 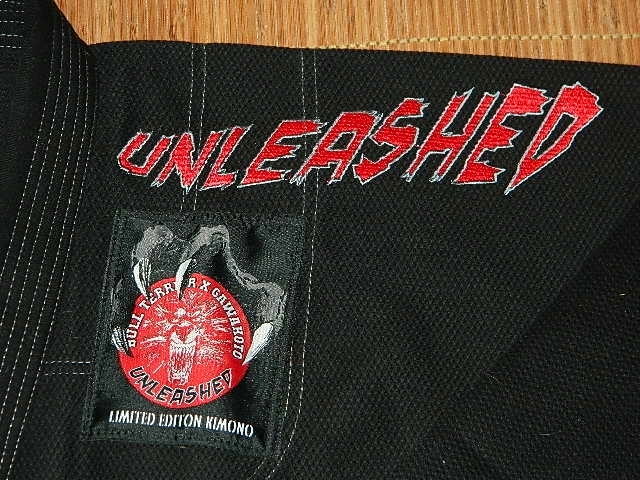 The outside features embroidery and patches akin to Bull Terrier’s regular ‘Bling’ gi offerings, but where this gi really shins is inside the jacket. 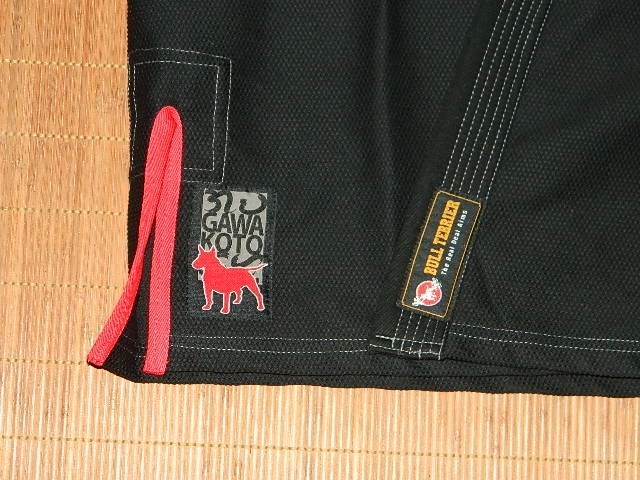 Unlike their typical ‘repeating pattern’ design inside the gi, Bull Terrier allowed Bong Abad of Gawakoto to work his magic. 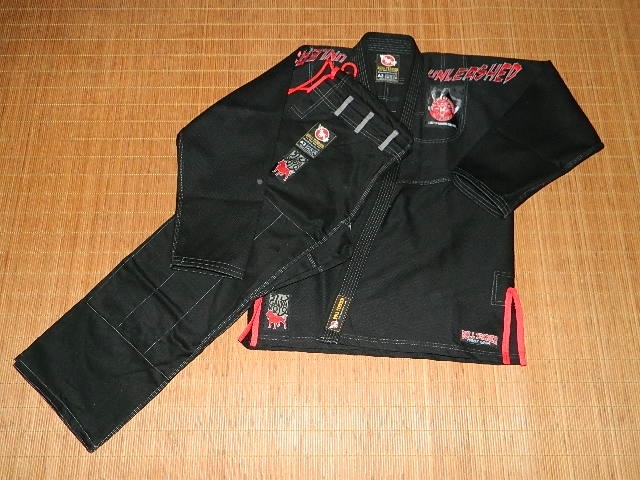 I like that the jacket was 550gsm as it represents the heavier side of BJJ jacket weights. Other than companies like HCK, most people are hesitant to go over 550gsm and few go under 400gsm for jackets. 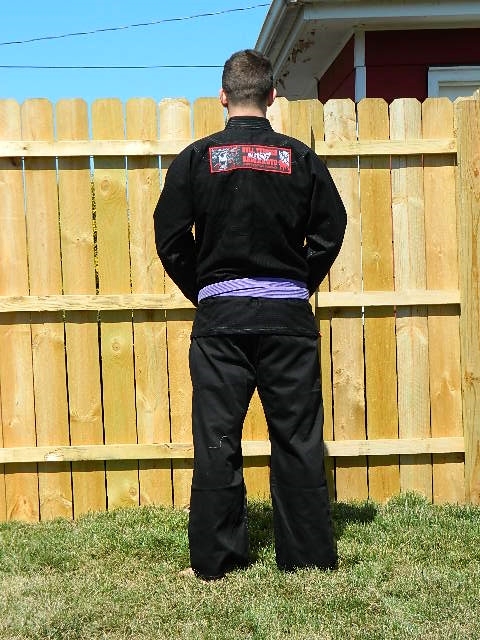 I typically prefer a heavier jacket than a lighter one and it’s likely one of the reasons I enjoy this gi. The jacket is fully reinforced in all of the critical areas and held up well throughout testing. The 10oz drill cotton trousers contrast nicely with the sturdy jacket. The belt loops on these pants are really a double-edge sword. I love that they have more loops (six versus 2 on older models), but I hate how high they are. 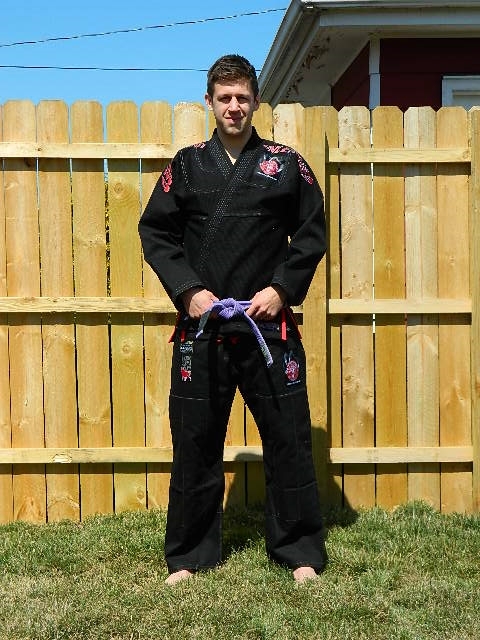 I prefer my belt loops lower on the gi so the drawstring doesn’t ride up while training. It’s a marked improvement over the 2 belt loops of the New Star that I reviewed, but I can’t fathom why they were moved upward on the gi. 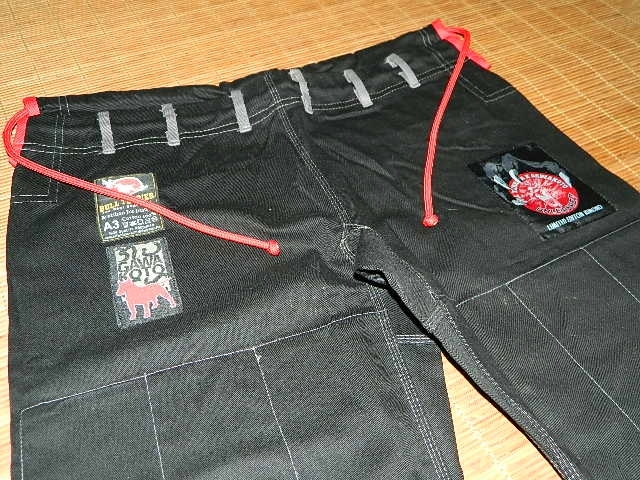 Luckily, the pants feature high quality side vents and a very nice stretchy rope drawstring that I prefer to the older style of flat stitched pant material. The jacket was a blast to wear while rolling. 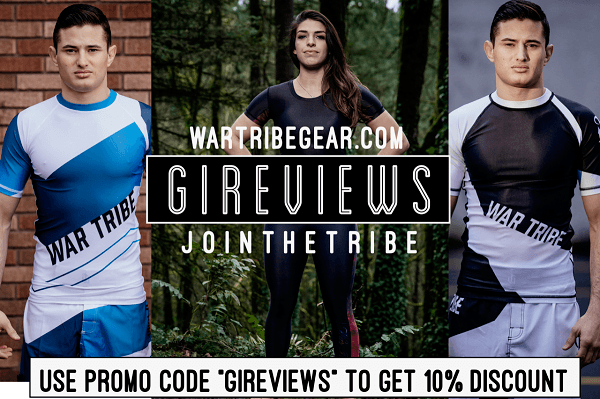 The gi features cool interior art without the increased weight or thickness of an interior rashguard. As noted, the pants are very baggy, but I didn’t notice them while rolling all that much. It was frustrating when my training partners would grab near the cuff of the pants, but nothing that a solid grip game couldn’t cure. Baggier cut jackets and trousers generally mean you have to remember to strip people’s grips right away and not just break them with pressure or assume the grips don’t matter. 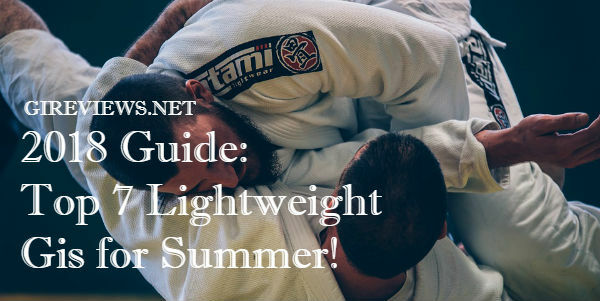 The gi held up very well and I assume, like all of my other Bull Terrier gis, it will hold up for a great deal of time to come. 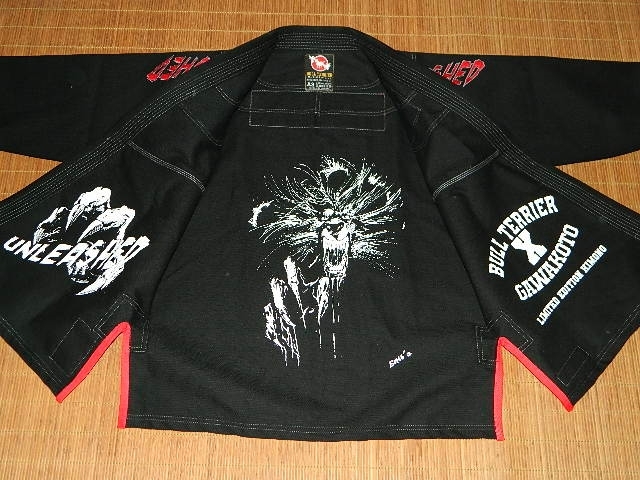 This gi was a limited edition run, but can still be found at Bull Terrier and at Gawakoto! 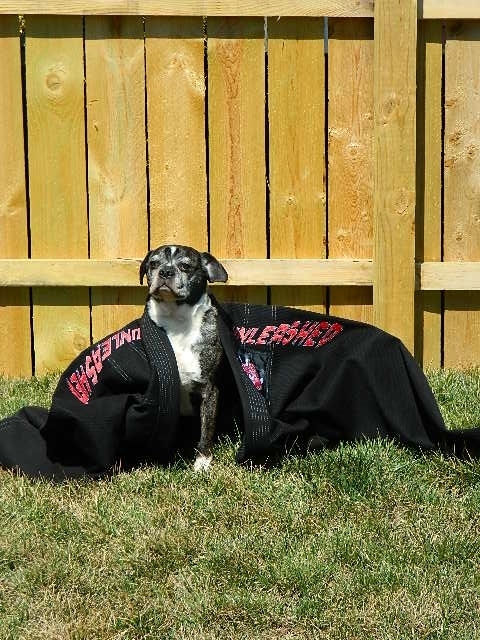 Yes, even my dog Bean approves of this gi. 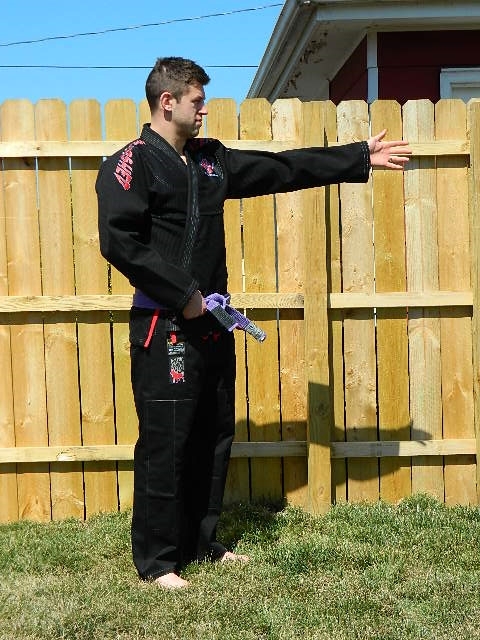 This gi is easily one of my favorites. 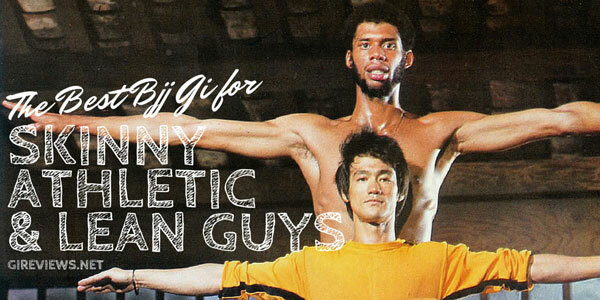 Obviously, as a BJJ gi company, it’s impossible to make gis that fit everybody perfectly. What may fit me perfectly may be too big or too small on another person, even if we are the exact same height and weight. This means that the only fault I could find with the gis cut, the wide pants, is really a moot point. 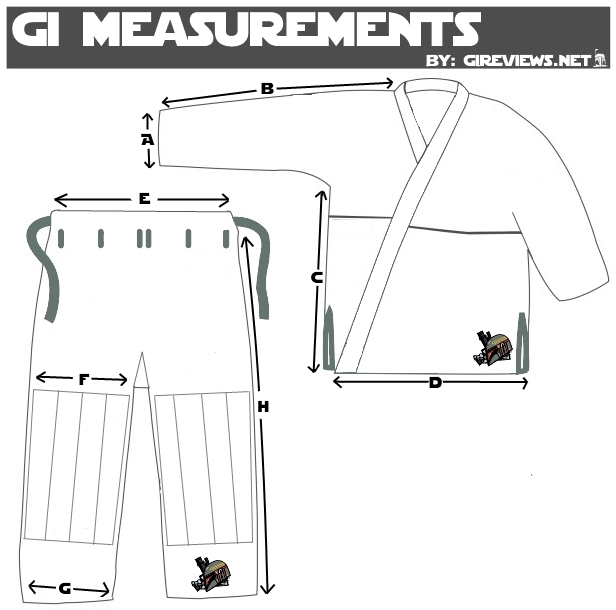 The gi is very well done and high quality and there isn’t much that I would change about the design or styling. 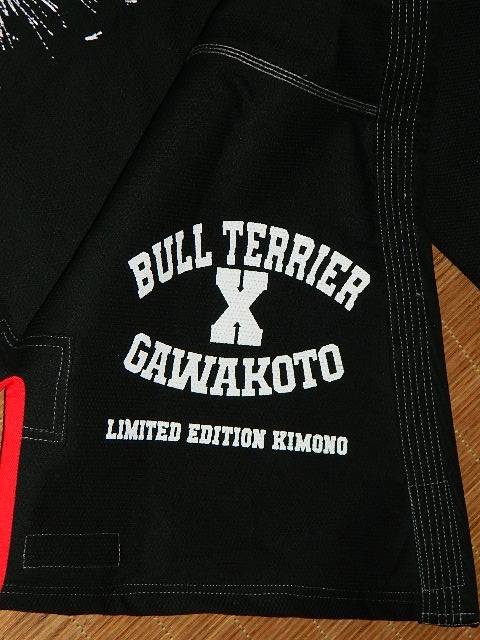 It’s really a gorgeous gi and Bull Terrier’s Gawakoto collaboration really fits in well with the rest of their vast gi collection. I would HIGHLY recommend watching both brands as they continue to grow and develop. 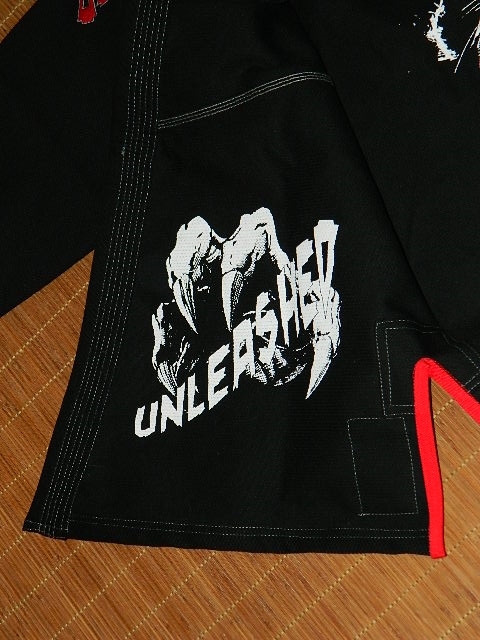 A Bull Terrier gi with more belt loops?! If the rest of their line were like that, they would be the Best Gis Ever! Wide pants though, not cool but it is what it is. Thanks for the namecheck. I feel like my BT Silverline has wider pants than some. 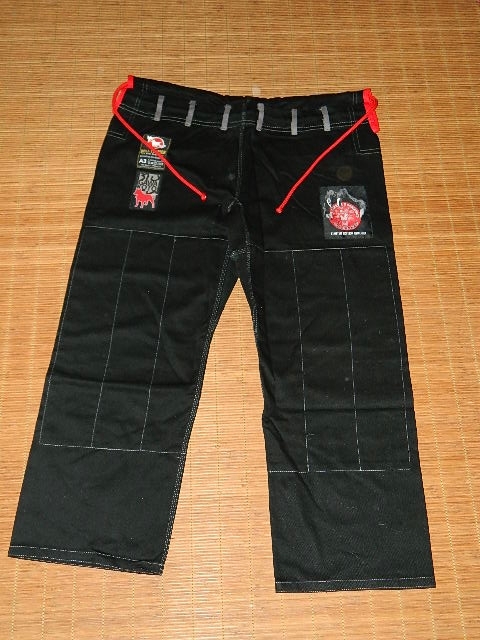 Not Ronin Insignia wide, but those almost seem like a Judo cut to me with the really big gusset and all. Anyway, I’m still in love with BT, wide pant legs, few belt loops and all. me too. 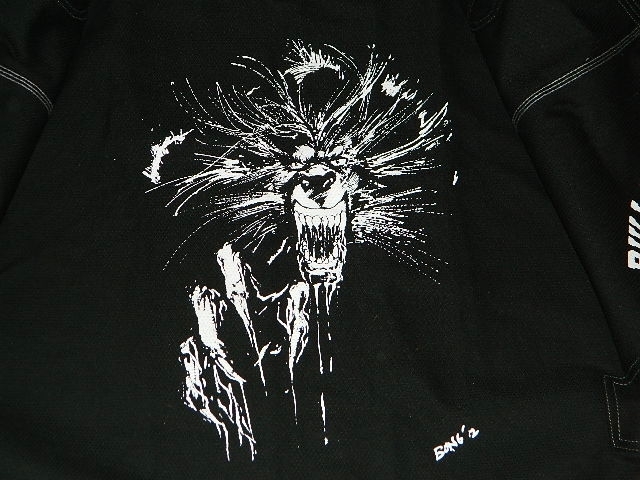 i love the design!